Have you ever heard the expression ‘If you could bottle it, you could sell it’? Well it is possible that the Goodwood Festival of Speed has done just that. Lord March and his organising team have taken the magical and often difficult to identify ingredients of cars, bikes, riders and drivers. Laid them out on the extensive front lawn and allowed any that dare to race up the tarmac surfaced hill climb course. The hill climb also serves as an event divider, with the house and paddock on one side and pretty much everything else the other. Spectators being protected by good old fashioned hay bales and able to cross from one side to the other using large temporary footbridges, or by walking across the track in between runs. If you are a person who normally goes to watch race meetings, you typically only get to watch one section of the course and feel unable to move in case you miss anything. If you are someone who goes to motor shows, then the inclination is reversed as you walk miles and miles to try this time to see absolutely everything. OK for you maybe, but what about anyone nearest and dearest you may have brought along, particularly if they don’t share your enthusiasm? But what if you could go to a race meeting, where it is not critical to watch it all and a motor show that quite often drives past you? In an event that seeks to combine the best bits of the two things together in the form of a giant garden party with several thousand guests, including Sebastian Vettel, Jensen Button and Lewis Hamilton, set free to walk amongst the madding crowd. 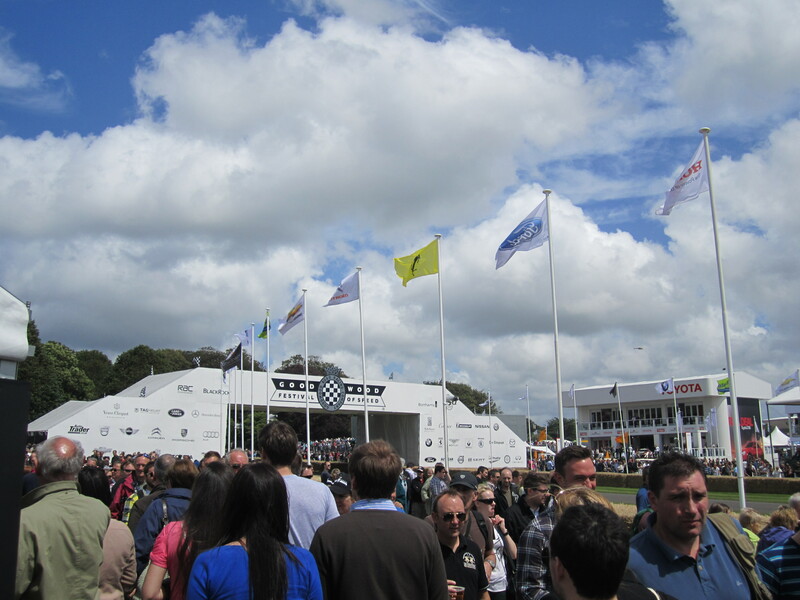 Welcome to the Goodwood Festival of Speed. On the subject of F1, let’s also say you were getting a bit jaded with Sebastian, Jensen and Lewis being overly concerned about tyre wear and you just wanted them to start doing a few random 800bhp burnouts instead. Not an F1 fan, how about Le Mans, especially the guttural noise made by the cars from the 60’s and 70’s while accelerating and during overrun in between toe and heel downshifts. 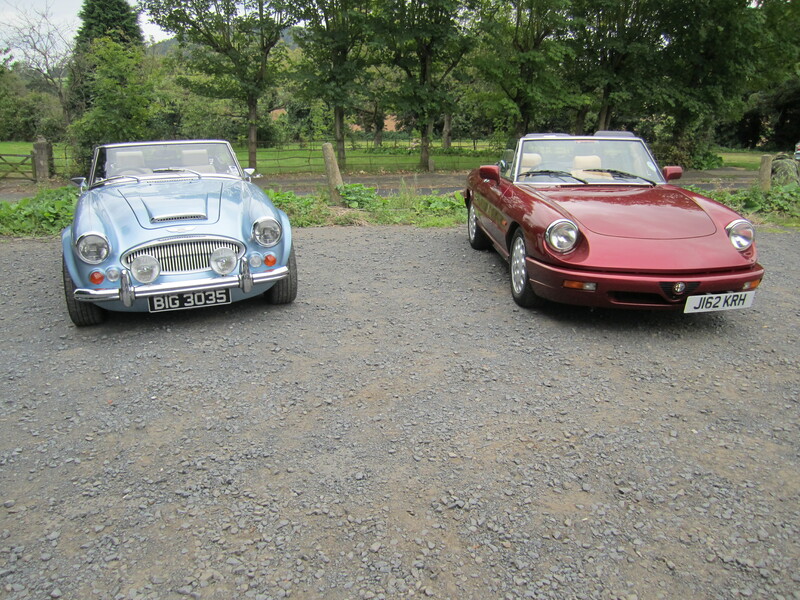 A stark difference to the tad disappointing near silence of today’s leading diesel-hybrids. 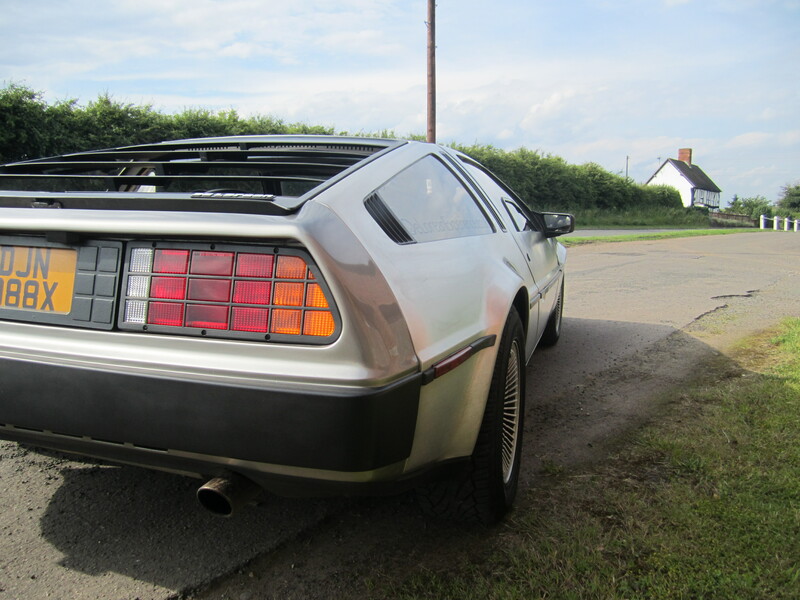 Do you want to be so close to the cars as they blat past that you feel you could reach out and touch them? 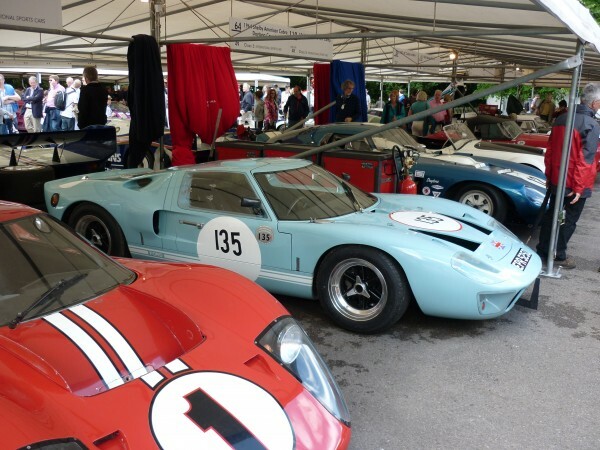 The Goodwood Festival of Speed really does manage to cover a lot of bases, there is Formula 1, rally and a taste of Le Mans, both current and classic. 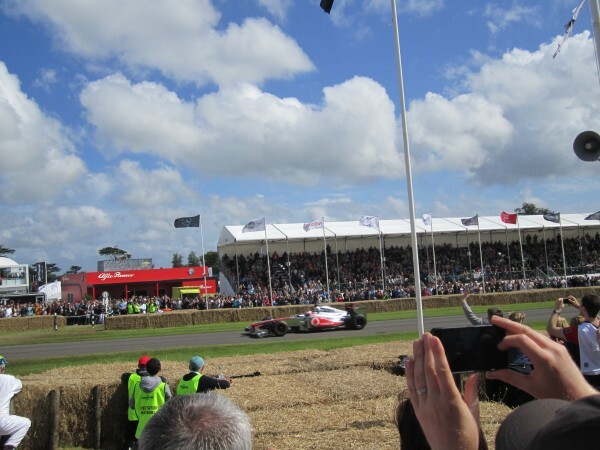 I would go as far to say that if you plan to attend any of these events for the first time, then go to Goodwood Festival of Speed first to see which one might appeal the most before deciding on your next move. 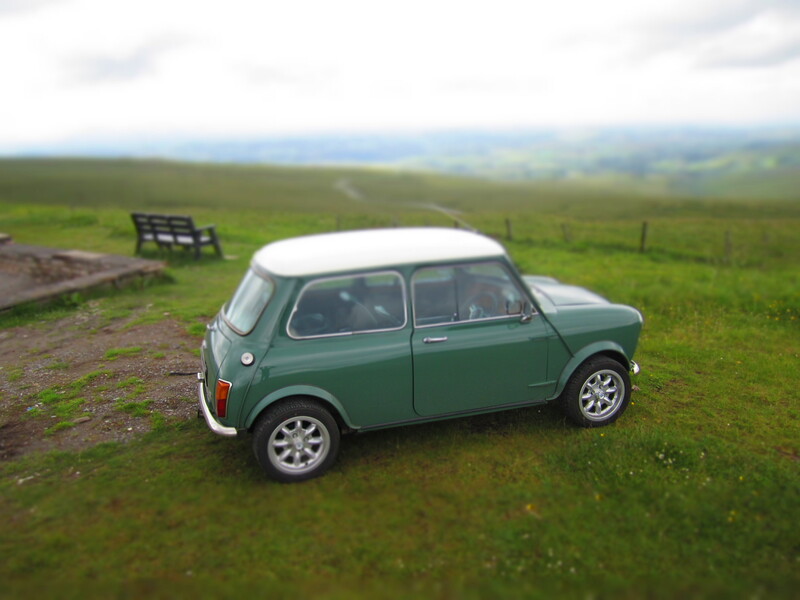 In between times, weather permitting, there is also the opportunity to just lie on the grass, have a picnic with the family and listen to the constantly revving engines in the background, or take in some of the action from a quiet spot under some trees. Drift off and you may get woken by a couple of Tornadoes simulating a strike mission overhead, just because they can, and when you did decide to wander around again you could grab an autograph from Tiff Needell or have a quick chat with Chris Harris. This all may sound like a dream, but it happens every year on the other side of a very long queue of traffic, mental note to leave home earlier next time, in the West Sussex countryside at the home of the organiser. The Goodwood Festival of Speed is a place to lose a whole day behind a giant smile where each passing hour is better than the last and behind every corner is a another surprise. Oh and don’t forget to bring your bottle with a tight fitting cork, so you can take some back home with you afterwards. Anything Else: This is a place to remind yourself why you love the sights and sounds of racing cars from a bygone era as much as you do. 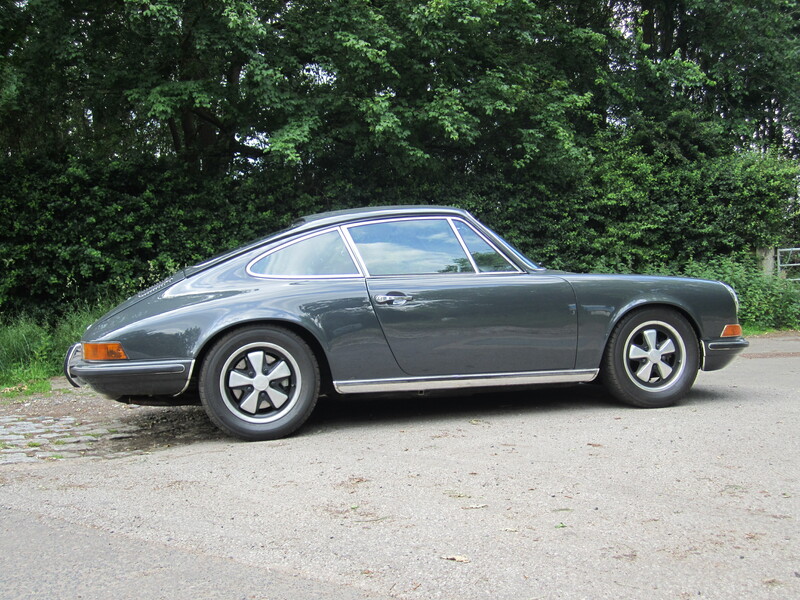 Key Ingredients: Accessibility to cars and stars, non-stop glorious engine noises, no pressure or need to try and see everything, just let the event come to you; it’s not like it’s a race meeting or a motor show after all.